If you’re a first-time cannabis user, that graph can look pretty intimidating. You just want something that will help you sleep at night. You didn’t realize you were going to need a degree in botany to figure that out! But you can relax. You don’t need a botany degree, or any degree for that matter, to figure out which strain works best for you. Once you know the three major types of cannabis, you can easily zero in on what you need with a little help from a consultant. Speaking of the three major types of cannabis, they are as follows: sativas, indicas, and hybrids. Here’s a little bit of info about each. Good for daytime use, when you need a boost of energy and inspiration, or if you are dealing with depression. Indicas are short plants with broad leaves and short flowering cycles. Good for pain relief, anxiety, and insomnia. 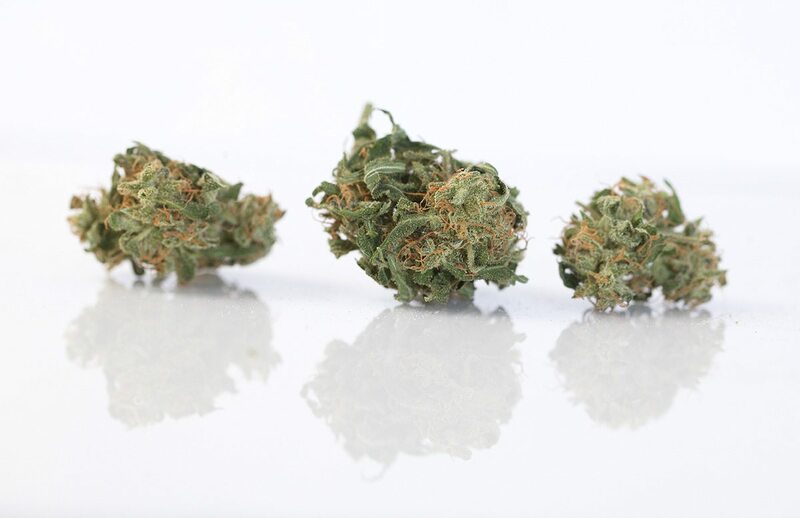 Hybrids contain a mix of sativa and indica properties. Ideally, a hybrid will emphasize the benefits of both sativa and indica strains while minimizing their weaknesses. Some cultivators and cannabis connoisseurs object to the sativa/indica/hybrid classification system. They may argue that it oversimplifies things, and there’s no evidence that suggests that all sativas will energize you or that all indicas will relax you. We think these categories provide first-time customers with an easy way to wrap their heads around the differences between cannabis strains. But we also agree that there are other factors that determine how a strain will affect you. Here’s some more information that might help you in selecting the right strain. The higher the percentage of THC in a strain, the greater the feeling of euphoria and pain relief. CBD is a cannabinoid that, in addition to being a pain-reliever and anxiety reliever, can counteract the negative side effects of THC. You can get either CBD-dominant strains or strains with an even ratio of THC-CBD. Terpenes are chemical compounds found in a wide variety of plants and fruits. Terpenes gives cannabis strains their distinct smell and flavor, and they also have medicinal properties. Some terpenes energize us. Others make us feel relaxed. In fact, it’s been argued that the main difference between sativa strains and indica strains is the presence of the terpene known as myrcene. Do you lean towards sativas, indicas, or hybrids? What’s your favorite strain? Got any recommendations for newbies? Post your comments on the Essence Facebook page!